PorscheMama » Uncategorized » View from the Back Seat: Can your Vehicle Survive Your Offspring? When I was a kid (here I go dating myself again), our family cars were always fastidiously clean, both inside and out. My Mom drove a station wagon and my dad occasionally had an early Porsche 911 in the garage. Both cars smelled good and were uncluttered by book bags, sports equipment, snacks, or anything else of the sort, except for one incident. Once, while my Dad was out of town, my Mom (who was the true car person in our house) decided to take the 911 out to run errands. 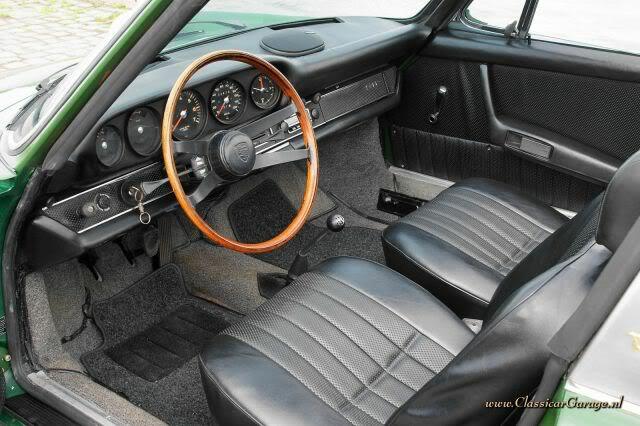 My brother was still in diapers, I was about 3, and the back seats of the ’66 Porsche were just perfect for our little behinds. I’m pretty sure rides with her is where we learned to love cars, because she would always chit-chat with us while she drove, talking about the nice sounds the car made. I’m happy to report the interior of our current family car, an Audi A4 Avant, has never suffered a fate even remotely close to the poor little 911’s (which my Mom managed to clean and de-scent before my Dad returned from his trip). However, as I write this, our car still sports leftover sand from a visit to the Sleeping Bear Dunes, a candy wrapper, two pencils, several pieces of paper, a pair of kid shoes, a bottle of Justin Bieber perfume and a bit of mud from a kid’s shoe. And yes, the interior does smell like The Biebs’ signature scent. I consider myself a car person, yet the interior of my car is far from perfect. Whenever I remove the girls’ booster seats to clean underneath, there are always remnants of a crushed snack. No matter how often I remind the girls to take their property out of the back seat, I always find a toy or a book or a bracelet back there. The car was treated respectfully. In our family, cars were not just transportation — they were property. We were expected to treat our parents’ property respectfully, because they had worked hard to acquire it. From early on, we were taught to keep our parents’ car clean and never lean on other people’s cars. These days, most people view their car (and, sadly, other people’s cars) as a disposable mode of transportation, nothing more. Many cars are leased, which means there is less interest in caring for something we will only have three years. 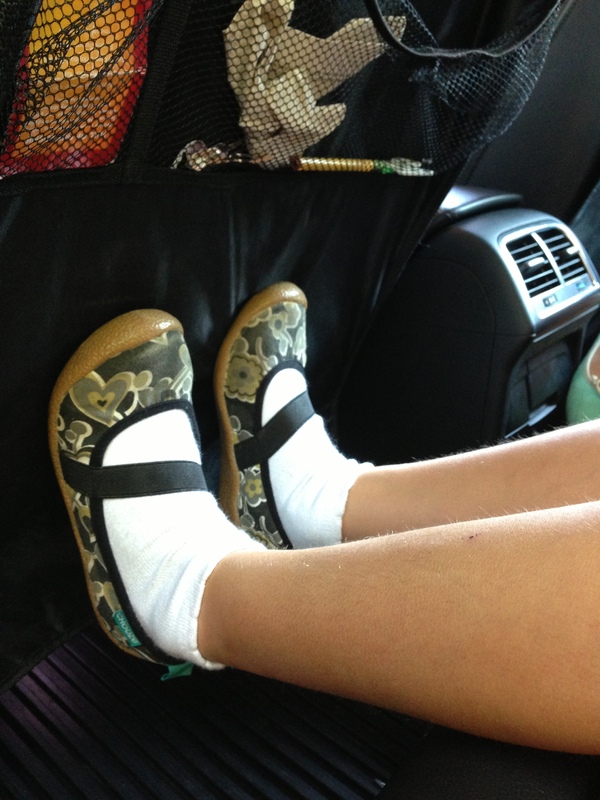 Covers protect your seats from cute little feet and provide pockets for their stuff. The rules were clear about eating in the car. No eating in the car, ever. No exceptions. If we needed a snack, we stopped and ate, then got back in the car. Same deal with water or any other drink imaginable. No liquids in the car. Not even saliva. No drooling (on yourself or your sibling) in the car! Time in the car was limited. Life was different when we were kids. We certainly did not spend nearly as much time in cars as our own children do now. Mom drove us to school and back, and later on to a lesson or two a week. But we never spent more than a few minutes in a car. This meant that we didn’t need changes of clothing, snacks, drinks, etc. to come along for the ride as we sped between various activities all afternoon. Drivers were focused on driving. When my Mom drove, she was not on her smartphone, eating or drinking coffee. She was looking at the road and had two hands on the wheel, unless she was shifting gears or trying to pinch us for fighting in the back seat. But even when she attempted to pinch, she always looked at the road in front of her (luckily for us, as it made her accuracy poor). 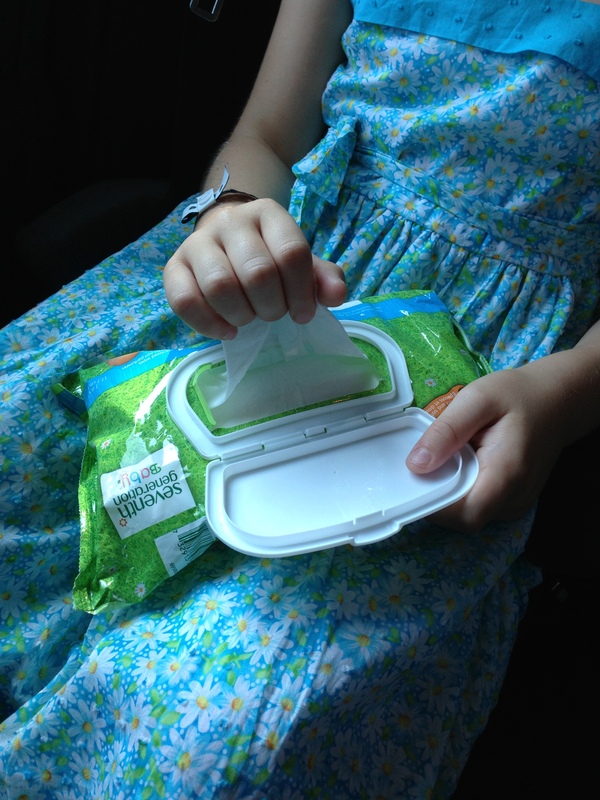 Wipes don’t just work on baby bums — they can keep your kids and car cleaner. 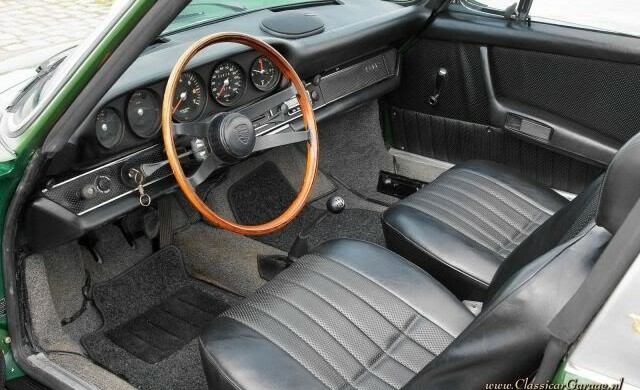 When possible, choose leather interiors. if you can afford to get leather seats, do it. Heaven knows kids are masters at making messes in the back of your car, and cloth interiors are MUCH harder to clean. In the last 8 years, I have cleaned a variety of spills from our car’s interior (worst offender: my own protein shake which spilled on my lap after a Toyota cut me off. Mea culpa!). Spills have fared far better on our leather interior. Cover your backs. Spend a few bucks on slip-on seat back covers to protect your car from little feet. These match your car’s interior and are easily removed for washing. Britax makes a set for less than $16. A trunk liner will save your trunk and sanity. Get a trunk liner. WeatherTech most likely makes a plastic trunk liner for the car you drive, so order one and stick it in the trunk. We put all of the kids items – soccer cleats, instruments, bathing suits, etc. back there, along with my yoga mats and grocery bags, and if (or when) there are any spills or mud, the liner gets pulled out and hosed down. 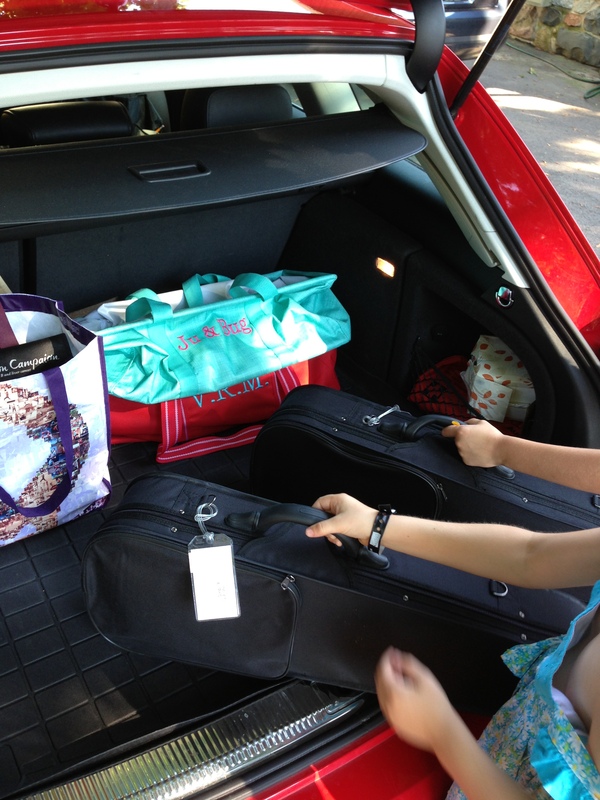 Invest in a car organizer for your trunk, and keep kids’ items back there. Various bags and sports equipment can scratch and soil your car’s interior. We invested in two large organizer totes for the car. Now, instead of tossing things all over the (lined) trunk, every family member has their own little space. We love our affordable trunk organizers from Thirty-One, which can be personalized with family members’ initials. Bonus: when you hear the dreaded “MOM! Where is my…” you will know the answer. Clean your car monthly, and make your kids help. I know the last thing you want to do is add one more task to the to-do list, but trust me on this one. If you clean out your car monthly, it will never get to the point where you dread driving it. And if you insist your kids help, you’ll have a cleaner ride for everyone, and you will be teaching your kids to love and respect your family property, and cars in general. Talk about win-win!